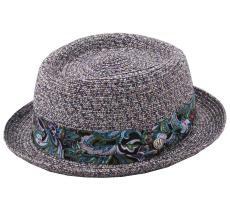 Do you visualize the porkpie hat, don't you? 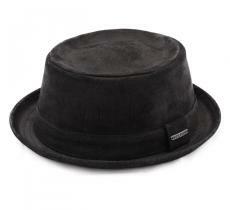 And what about Heisenberg's hat in Breaking Bad? You see? 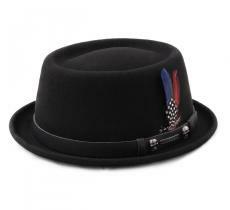 Emblematic of the series, the black pork pie hat sported by Brian Cranston, a.k.a Walter White / Heisenberg, surrounds the two-face man who wears it with much charisma. And it's not by chance! Whether you like the humanity of the main character of the series or not, the thing we do know is that the chic hat he's wearing is of a timeless class. Indeed, the pork pie is particularly one the great veteran of felt hats: of its kind, the classic diamond and the classic Italy constitute the essentials of any good wardrobe to be respected. Yet, if you wish to alternate textures according to seasons, a black pie braided could be a pleasant choice to wear and to look at. 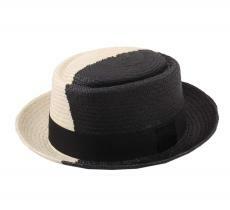 The black color offers class and mystery to those men and women that invest in this hat. 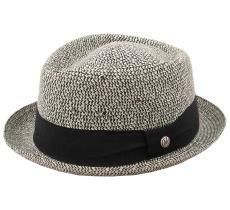 As far as we're concerned, we have a very soft spot for the classic porkpie endowed with a comfort which is similar to the more high-end hats. To crown your style, you can have a look at braids and feathers to be able to strut with a totally bespoke product. Which porkpie to choose according to your face or look? 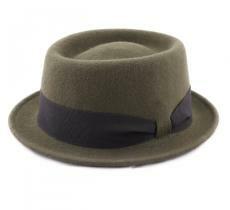 Associated with harmonized-seasonal shoes, accessories and clothes, the charisma of the porkpie reveals itself. Good heavens!!! Walter White even imposes it with style and between his thin glasses, his average American outfit, and his black shoulder bag. 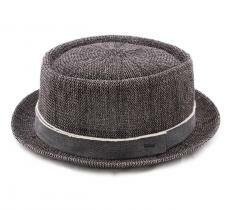 Several brands, from Bailey to Stetson offer the porkpie hat in various sizes. In France, we can count on the widest range in this domain (on line or at our shop in Lyon), whether it is for the winter, the mid-season, or the spring-summer. 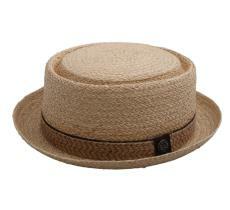 From a finely woven straw, from raffia straw or from straw-paper, you can find many varieties of this hat for the beautiful days, but not only... Wool felt (and waterproof wool felt), wool and cotton are therefore other materials that have been tamed by this nice jazzy hat which, from the American Civil War to now, is still fashionable.